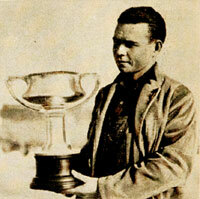 Beginning in 1924 the top 4-H Leadership award, winner of the prestigious Moses trophy, was considered the top award in 4-H. Presented at National 4-H Congress, initially there was a single winner, however after three years, there was both a boy winner and a girl winner selected. The annual announcement of these winners brought national promotion to 4-H from coast to coast with coverage in movie newsreels, on national radio broadcasts and in newspaper and magazine features. The Moses trophies (there were two) were travelling trophies with each of the annual winners getting to retain the trophy for one year before it was traditionally passed on to the new winners. The trophies were presented in the name of Horace A. Moses, President of the Strathmore Paper Company and a member of the board of the National Committee on Boys and Girls Club Work. He also sponsored the 4-H Leader Training School in Springfield, Massachusetts and funded the Horace A. Moses Building at the Eastern States Exposition. 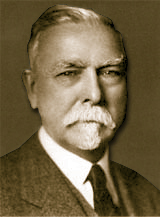 Beginning in the 1930s, the winners also received scholarships provided by Edward Foss Wilson, the son of Thomas E. Wilson. In approximately 1961, the top winners received trays presented in the name of the President of the United States instead of the trophies. But… one of the mysteries of 4-H history continues to remain today – what happened to the two prestigious traveling Moses trophies? The National 4-H History Preservation leadership Team continues to search for these trophies so they can once again be displayed at the national level. A notable “first” in 4-H history is the very first winner of the famous H. A. Moses trophy, awarded in the National 4-H Leadership program to Ford Mercer of Wellston, Oklahoma. This entry was posted in History and tagged 4-H History, Ford Mercer, Horace A Moses, The Moses Trophy by Larry Krug. Bookmark the permalink.